Let’s face it, saving for your retirement can be a startling and confusing proposition. There is a wide array of options available, many of which are intimidating at first glance. Not to mention the litany of rules and regulations that one must understand and comply with or you may find yourself losing your hard-earned money instead of saving it for the future. That’s at the heart of our reluctance when we consider ways to invest for retirement. We want to know where our money is going and when and how we will see it again at the time we need it most. However, saving for retirement doesn’t need to be fraught with worry and apprehension. When you take a closer look at how these investment vehicles work and the benefits of employing them effectively, then you will find that they’re not so frightening after all. In fact, there are some that are downright simple to understand and can play an important role in helping you plan for long-term financial security. One of the most widely used and reliable investment tools for saving for your retirement is the 401(k). Unfortunately, many employees don’t know the first thing about this type of account. Plus, many are understandably apprehensive about getting involved simply for the fact that it involves removing some portion of your salary from every paycheck in order to fund the plan. Where is that money going and why is it being taken from you at each pay period? Better yet, when do you get to see that money again and what happens if you try to access it? There are so many questions, but we’re going to answer them for you in an effort to make the 401(k) less mysterious to the uninitiated. A 401(k) is a savings retirement plan sponsored by your employer. You determine a percentage of your earnings from your payroll check each pay period, before taxes, to fund the account. Investing pre-tax money is a major benefit to you in that it reduces your overall tax burden, meaning you will pay less in income taxes since it lowers your taxable income each payroll period. Many employers (but unfortunately not all) who offer their workforce a 401(k) plan are willing to match your contributions up to a specific limit. Some employers offer a 50% match, some a dollar-for-dollar match, and some make an annual discretionary contribution. In other words, whatever you contribute to your retirement fund your boss will also contribute up to the predetermined maximum limit. This is free money! Your employer is basically giving you a bonus for your retirement and you would be a fool not to take advantage of such generosity. If your employer agreed on a dollar-for-dollar match, then for every $100 you contribute your company will also give you $100 towards your plan. Each company has different policies towards a 401(k) match, which should all be outlined in your employee agreement or contract. If you happen to work for a business that offers a 401(k) match, then you’re in pretty good shape towards building a strong foundation for retirement saving. Let’s stop for a second to consider how you as an employee can make the most out of your 401(k) plan, particularly if you work for a company who is willing to match your contributions. Most employers will match your contributions up to 10% of your pay. That’s not a hard and fast number as some employers could set their limit at 7% while others as high as 20%. Regardless of the actual number in your case, let’s consider how you should strategize your funding. The plan of attack you choose should incorporate the amount your employer is willing to contribute while also keeping your age in mind as well. If you got started on saving later on in life, then you might want to stay at the maximum limit for gaining as much “free money” as you can in order to fund your 401(k) more quickly. If you are younger and just starting out, then you might be able to take your foot off the throttle just a bit. This way, while you are still putting away a sizable chunk of your pay, you are still take home enough to live and pay your bills on time. Keep in mind, however, that the more you save early on in your career, the faster your assets will build and the more comfortable your retirement will be. Another strategy that will help you build your retirement funds while not affecting your take-home pay is to implement a plan of increasing your contribution percentage whenever you get a raise. This is the perfect time to squirrel more money away as it won’t affect your monthly cash-flow while saving more. The decision is yours and whatever best reflects your personal financial situation and goals will dictate how aggressive you choose to be with your saving. However, there are limitations beyond just what your employer will impose on their contributions. The IRS also limits how much you may contribute to your 401(k) over the course of a year. That will need to be a factor in how you strategize your funding of the plan. To make things even more complicated, the limit amount changes every year to account for inflation. There is also more to consider with respect to your age. The IRS offers an extension for anyone over the age of 50 to make “catch-up contributions”. This allows you to make up for lost time or accelerate the size of your wealth since you’re getting closer to retirement at that age. The government doesn’t want their imposed limits to keep you from reaching your desired goals as you get closer to retirement age. Contributing to your 401(k) takes smart strategizing. If you really want to make the most of your plan, then you may want to look at how much of your paycheck you are contributing as time goes on and then increase it just a bit after a few years. You are already going to want to base your contributions around how much your company will match them. However, that might only be around 7%, 8%, maybe 10%. You might want to think about going to 12% or even as high as 15% by way of those “catch-up contributions” that the IRS affords you after age 50. This will help you reach your goals faster. However, you also need to think about how much you are taking home so that you can live comfortably enough to meet your monthly obligations. You’ve come up with a strategy for contributions and you’re making them consistently so as to receive the full benefit from your employer. Where is that money actually going and how is it working to help you accrue wealth? The answer is relatively simple even if it may involve some complexities that are exclusive to the type of 401(k) in which you are making contributions. A 401(k) is essentially an investment plan that is typically comprised of mutual funds that include a variety of stocks, bonds, and other additional securities that pool money together from a collection of investors who all invest as a group. That group is you and your co-workers participating under your employer-sponsored the plan. There is one slight drawback to this arrangement in that the only person who decides which stocks, bonds, and securities in which to invest is your employer. One might assume that your employer has sought out sound financial advice on selecting those investments, but at the end of the day you have very little control over where your money is being placed and you don’t have much choice in the matter. While you may not have much of a say over what your money is being invested through your 401(k), you do retain total ownership and control over the contributions you put into the plan. This is your money and you can withdraw any amount at any time. Your employer contributions are another story, however. The timeline for ownership of the funds your employer matched towards your 401(k) plan is called “vesting” and is set on a predetermined schedule, usually based on employment tenure. 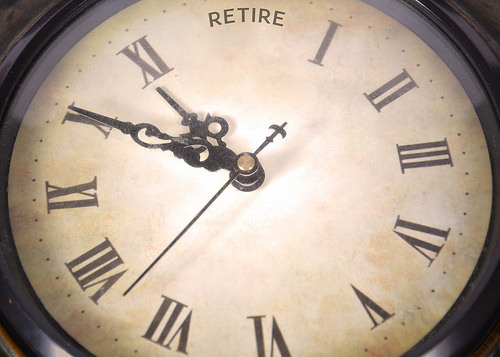 Your vesting schedule relates to the point in time when you, as an employee, may claim ownership of your employer’s contributions to your retirement account as well as the interest and earnings that accrue during that time. These schedules will vary depending on your employer. In some instances, the money they contribute is an immediate vestment in that it is yours the minute it is contributed, while in other cases there is a waiting period imposed before you are vested fully in those funds. Since employer matching contributions are a benefit of employment, you generally have to be employed for a specific amount of time before vesting. For example, your employer may grant you 10% of employer contributions immediately, but you vest in the remainder over a period of 4 years. You may vest in 15% after 12 months, another 25% after 24 months of employment, another 25% after 36 months of employment, and the final 25% on your 4-year employment anniversary. That means that if you leave your job after working 3 years, then you will only retain 75% of the funds your employer made towards your 401(k) and your employer retains the remainder. When your money is subject to a vesting period that means it affects when you may rightfully claim ownership of it. This is primarily an issue to be concerned with in case you end up leaving your employer for another company. Should you quit or resign from your employer before you are fully vested as per the vesting schedule governing your employer’s contributions, then you may end up forfeiting the funds that were given. Once again, this only applies to the matching portion from your company. You cannot lose the money that you contributed from your payroll check as that was yours to begin with. Only your employer’s matching funds are typically governed by a vesting schedule. Vesting schedules are not applicable to every 401(k) nor does every employer implement them. However, you should ask if they are a component to your employer’s plan before you strategize your retirement savings. Let’s say you are contributing to your employer-sponsored 401(k) and you have decided to move on from your current job. What do you do with the 401(k)? That’s your money (or most of it at least depending on your vesting schedule) and you want to take it with you. However, you are nowhere near age 59 ½ so you don’t want to withdraw it from the plan and pay taxes and penalties. Don’t worry, you have the ability to “rollover” your 401(k) to another eligible retirement savings vehicle. Every dollar you have funded will still be there once you change jobs, but you need to make a decision about where you will place your earnings to get the same or similar benefits. In most cases, an employee will rollover their 401(k) from the plan offered by the previous employer into another offered by their new employer. Nothing changes significantly other than a new investment strategy or manager, changes to possible matching contribution limits, or vesting schedules that your new employer might impose on the plan. That’s not your only choice, however. 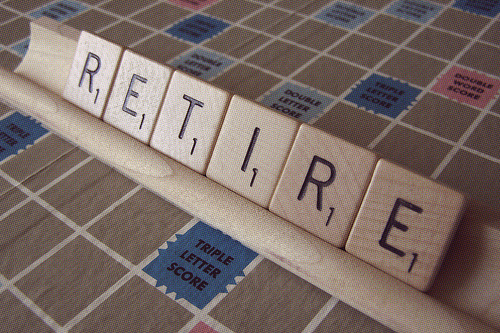 Many employees decide to roll their 401(k) into something called an Investment Retirement Account (IRA). Now, keep in mind that this is NOT a withdrawal of your money, so you will not be required to pay penalties or taxes. This is solely a transfer from one account to another. You could also opt to keep your 401(k) with your previous employer’s plan even after parting ways if you are happy with your returns and investment gains. The purpose of the 401(k) is to help you save money for your retirement. Dipping into the coffers “early” would mean paying a penalty on that withdrawal. The reason such penalty triggers are implemented is to discourage you from raiding your savings before you really need it. In this case, you are saving your money for when you retire. You started contributing to a 401(k) to build wealth, not to squander your savings over time. That’s why there are penalties for early withdrawal. When, then, are you allowed to access that money without getting dinged for early access? The penalty trigger is lifted on the day that you reach 59 years AND six months of age. At this time, you may start drawing down money from your 401(k) free and clear of penalties. If you turn 59 years old on January 1st of this year, you would then be able to make a withdrawal on July 2nd without paying additional fees on that money. There is an exception to the rule for anyone over the age of 55 who has either lost their job or is disabled. If you meet any of that criteria, then you will not be penalized for taking money from the plan prior to age 59 ½. Now that you have reached the permitted age for withdrawal you won’t be assessed any penalties on the money you take out of the plan. However, you WILL have to pay taxes on it. That’s right, this money is taxable income that you will need to report during tax time. Remember how you put these funds into the plan before taxes, thus reducing your tax liability? You didn’t think Uncle Sam would just let you have it without giving him a cut. Once you withdraw your funds, that money is now taxed. After you reach the age for withdrawal you may be wondering how to get your money or how much to take out. The typical arrangement usually has the managing entity of your 401(k) issuing you checks or direct deposits on a cycle of your choosing. This can be a weekly payment or it can arrive once a month, it’s all up to you. If you are expected to pay taxes on this income, the manager will handle that for you in much the same fashion as when you received your payroll during your employment. A good rule of thumb to consider is that a rate of withdrawal at 4% will ensure that your money lasts for about 30 years. This money is in addition to any other revenue you have coming in, namely Social Security which you are eligible to start receiving at age 62. Keep in mind that just because you are eligible to start getting your Social Security doesn’t mean you have to start taking your payments at that age. If you delay them until the maximum age of 70 years old, then you could receive up to 35% more on your money just for waiting eight more years. Should you be worried that the money that accrued in your 401(k) won’t last long enough throughout your retirement, you could opt for a smaller rate of withdrawal at around 3%-3.5%. There are various types of 401(k) plans available to a wide swath of employees. While they may have different names (or in this case, numbers), they all typically work the same. The only distinction between them is the types of organizations and employers issuing the plan. There are a variety of plans that are similar to 401(k)s depending upon the type of organization for which you work. A 401(k) is typically offered by public and private for-profit corporations. However, if you work for a tax-exempt or non-profit organization like a public school or college, a library, hospital, or a church, you’re likely to be offered a 403(b). Government employees at the state and local level are usually given 457(b) plans. Finally, federal civilian and uniformed service employees are usually issued Thrift Savings Plans. Despite their different names, they are all basically the same type of retirement plan. They might have a few disparities with respect to contribution limits, employer-matching protocols, vesting schedules, and other elements that make each one exclusive to the type of employee receiving it. The one constant among all of them is that the contributions made to each plan take place before taxes, reducing your overall tax liability. The numbers themselves and the reason for each being different is due to the laws that govern each plan. 401(k) is a subsection in the tax code, as is 403(b), 457 (b) and so on. More specifically, 401(k) refers to Chapter 401, Section k in the Internal Revenue Service tax laws. 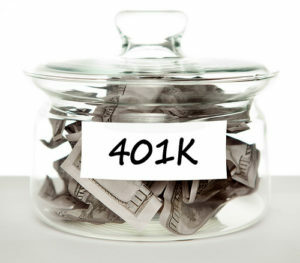 Just when things started to get a little clearer we now turn our attention to the Roth 401(k). What’s the difference between this type of plan and the other that we have been discussing up until now? In a word: taxes. If you recall, we just talked about how you would have to pay taxes on the money you drew out of your 401(k) after you reach the permitted age for withdrawal without penalty. A Roth 401(k) works in the opposite fashion, where the money that you contribute is taxed prior to being deposited into the plan. This way the money you withdraw when you are older is tax-free income. Many people prefer to go with the Roth alternative because they are unsure of how the tax laws will change in the next thirty years. Some would rather pay the taxes up front knowing what the current rates and by-laws are at the moment. If those rates should increase, then their money is protected when they withdraw in their later years. Conversely, the Roth version could result in you earning less in retirement than you would during the time of your employment. In this case, the traditional 401(k) might be the better option. The general rule of thumb is to go with a Roth 401(k) if you are making a small salary for the time being and then when you start to make more you might want to go with the standard version. Now you know the basics about 401(k) plans and how they work. We’ve also discussed some of the ways to make the most out of contributing and maintaining a plan to secure your financial future, through smart funding strategies and withdrawal rates. These plans are a great way to get started on putting money aside for your golden years. With Social Security and any other forms of revenue you might have coming in after you leave the workforce, you should be able to enjoy your retirement on the wealth you accrued. If you haven’t already started contributing or if you are currently seeking a new job, be sure to have a conversation with your boss about the 401(k) that the company offers and how it operates.